From the famous Hakuoki series comes Hakuoki: Memories of the Shinsengumi — a female-focused dating game which casts you in the role of Chiruzu, a young girl searching for her missing father.In this epic tale of love and honor, Chizuru's quest leads her across the Shinsengumi, a band of Samurai sworn to protect the shogun - who are also searching for her father, for reasons of their own. As you make more and more decisions, as Chiruzu, you will experience both the romance of man, as well as the corruption. As you progress through the six new storylines you might just discover details about characters and events that will surprise you! Captain of the Shinsengumi's 1st Division. 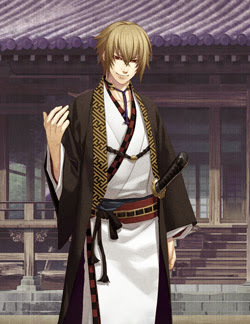 Okita is considering to be something of a genius with the sword. He like to make jokes—frequently at the expense of his comrades—and often wears a wry smile, but in battle he holds nothing back and his devotion to the Shinsengumi and Kondou is unparalleled. Captain of the Shinsengumi's 10th Division. Harada has something of a quick temper, and he's a little rough around the edges, but underneath it all he's a compassionate man with a strong sense of duty. His weapon of choice is the spear, not the sword, and he has no equal among Kyoto's spearmen. Captain of the Shinsengumi's 8th Division. 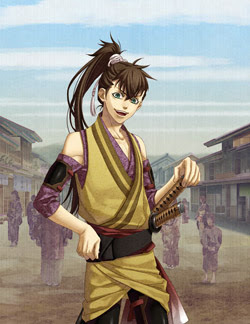 A cheerful man from Edo, Toudou is the youngest captain in the Shinsengumi. He's quick with a grin and tends to jump straight into things before thinking them through, even if what he's jumping into is a life–or–death battle. Captain of the Shinsengumi's 3rd Division. 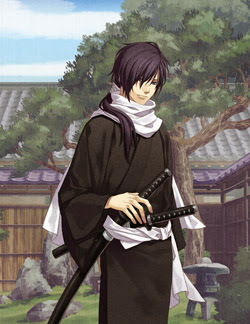 Saito is know for being reserved, solitary, and loyal. Unlike most other swordsman, he fights with his left hand. 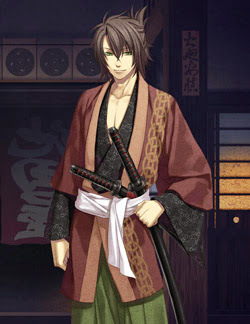 He is a master of the art of iai, and his swordsmanship is top–tier even among the Shinsengumi. A mysterious warrior hired by the Satsuma Domain. 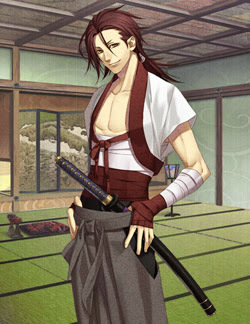 He seems to have a special interest in Chizuru Yukimura. @Darcy Did you hear that they are working on a remake of this game? It will feature 6 new routes (12 in all) and 3 of the characters will be new.